Chaka Studio demonstrated their Quipu Project at Sheffield Doc Fest yesterday morning during the continued interactive talks. The session was a great opportunity to catch up with the projects progress since the React Hub Future Documentary Sandbox and gauge the reaction from the wider documentary community. The interactive documentary focuses on the case of forced sterilisation in Peru, which affected indigenous communities in isolated parts of the country. These factors were taken into consideration when developing the project. Unlike some other interactive documentaries, which focus on high end websites, the first audience of this project was the connected community. They wanted to tell the story with them, not about them. Throughout the process there were concerns that the quality of the interviews wouldn’t be good enough. Whether the tech would even work properly. A key finding that emerged from the process was the fact the women could listen to each others’ stories – sharing the experiences was cathartic and allowed the women involved to start to break through the isolation and stigmatisation they had faced in the past. The system they are using to collect the phone calls and translate them to the web has been developed by the MIT Center for Civic Media. The VoIP Drupal framework is free and open source – which means this process could be replicated around the world and used within other projects. This is another outcome for the Quipu Project; developing a way to connect with people around the whole world which doesn’t exclude. They want to let the future of documentary include people who aren’t connected to the internet. The 2-way phone line takes this development one step further. It means people who listen to the testimonies online are able to phone and add their messages of support to the women. The project then starts to instigate a dialogue with the international community and allows the women’s stories to be spread and awareness of the issue to grow. What happens to the data? How is it protected? Little to no meta data is attached to the testimonials. Participants can choose what info they want to give over and what we’re collecting isn’t something that could get them in to trouble. Throughout the project we’ve been working with academics around the notion of consent – ensuring participants understand what they’re committing too. Although the testimonials go through moderation, the points we haven’t published are generally white noise or tech failures. We haven’t seen any negative consequences so far. How do you liase with the women involved? We work with a women’s organisation on the ground – we chose IAMAMC because they were already organised. We left the phones with the women there so they are able to go to other women and collect more testimonials. Are they able to delete recordings? It is technically possible, but at the moment it’s not something that we expect people to do. Participants are given a reference number when they make a recording so they can access it the future, however this also means that someone else could potentially delete the recordings. The political context in Peru at the moment means it is safe to share the testimonies, at least until the next presidential election in 2016. However, this is where the relationship with the organisation is really important – they are co-producing the project with us. So if a woman wants to delete a recording then they could do this through them. How are the women’s lives ruined? Is it physical or emotional and does the website contextualise this? This is something we are hoping to include as the project develops – getting some footage around how this sterilisation process has happened. So far we have focused on the testimonies, but we are going to expand this through the feature documentary and additional content on the website. The women were affected both mentally & physically; the operations were often carried out in poor conditions with no recovery time or ongoing care offered leaving the women with long-term physical discomfort. The process was also mentally scarring, with the women’s place and purpose in the community brought into question. Mandy Rose, who was moderating the session finished with this thought: “having worked in documentary for a long time, it’s rare to see documentary makers engage with communities in such a way and for such a long time”. This is what makes this project special and will hopefully allow it to grow and affect change. 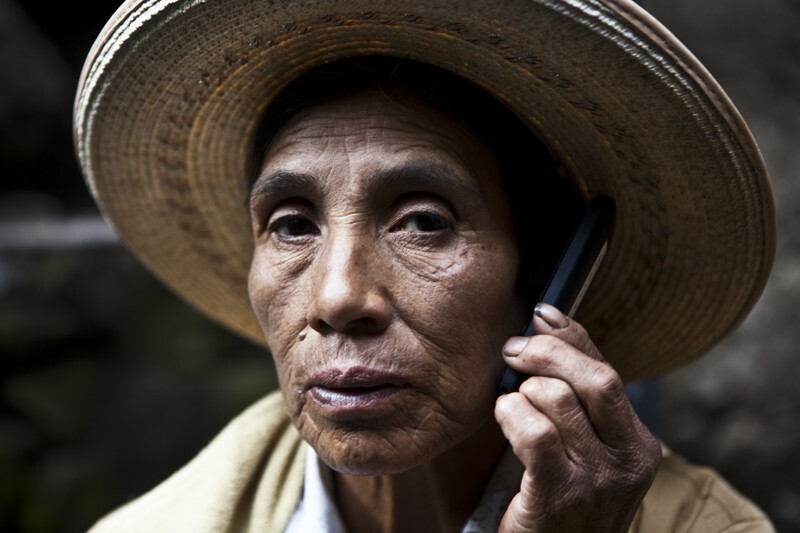 Right now we’re running a full beta test of the Quipu Project concept phone line and digital technology, a process involving the team in the UK and our partners in Peru. Technology, including the back-end infrastructure that is the backbone of the Quipu Project, along with the phone line software. Expand the project to other areas, such as the Anta – Cusco region, where activists of AMAEF-C representing over 1,300 women and men have been organised and campaigning for 15 years. These are the next crucial steps we will be able to achieve if we reach our goal, however we will still have a long way to go. This project is a long term commitment and we hope to be able to keep it running for the next 2 years. Find out more and support the Quipu Project here!